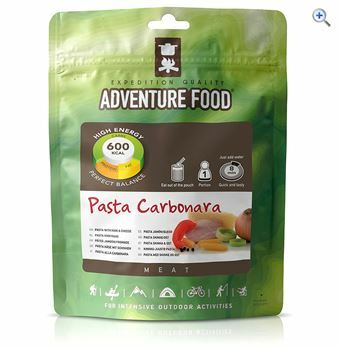 Adventure Food Pasta Cheese with Ham, lightweight dried food with a long shelf life. Just add boiling water!Perfect for backpacking, this meal is quick and easy to make and won't take up much room in your pack. 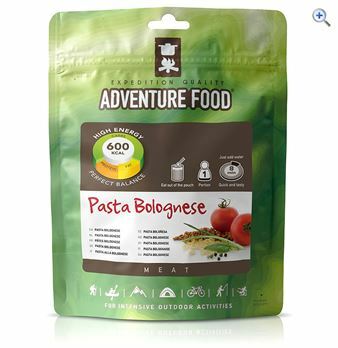 Adventure Food Pasta Bolognese, lightweight dried food with a long shelf life. Just add boiling water!Perfect for backpacking, this meal is quick and easy to make and won't take up much room in your pack. 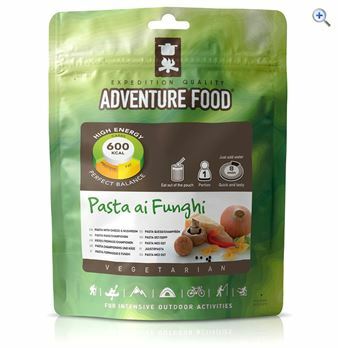 Adventure Food Vegetarian Pasta Cheese with Mushroom, lightweight dried food with a long shelf life. Just add boiling water!Perfect for backpacking, this meal is quick and easy to make and won't take up much room in your pack. Adventure Food Chicken Curry, lightweight dried food with a long shelf life. Just add boiling water!Perfect for backpacking, this meal is quick and easy to make and won't take up much room in your pack.